​Answered when staffed. Please leave a message. Choose whatever day works for you and get right to it! 1) Review the (green) options listed and choose the spot(s) you like. 2) Sign up for a "librarian" shift, you will not need to register an account or keep a password on SignUp.com. 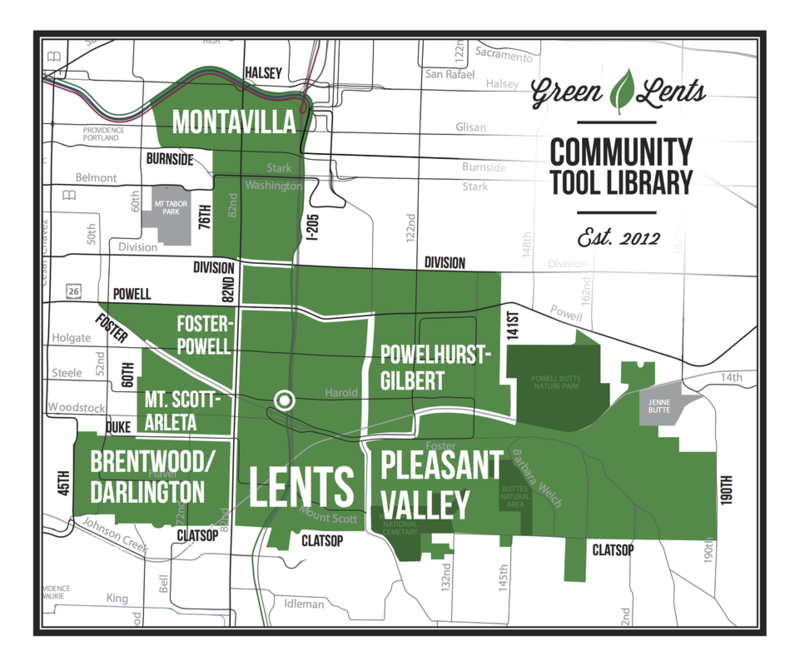 The Green Lents Community Tool Library is a free service for residents of Lents, Powellhurst-Gilbert, Pleasant Valley, Foster-Powell, Mt. Scott-Arleta, Brentwood-Darlington, and Montavilla. It functions like a book library, except tools or other project materials are checked out instead of books. It also has a seed library and tool resale rack where you can purchase tools by donation. We promote access over ownership, which is more economical and sustainable for renters and homeowners alike. We also encourage a culture of repair and creative reuse to reduce waste and consumption. Every year, our members are given the opportunity to save money by simply borrowing the tools they need to complete their home improvement projects. You will need a state-issued ID and a piece of mail (like a utility bill) to verify your address to sign up as a member on your first visit. You can speed up the process by first entering your information online using "sign up" link below. You will still need to sign our membership agreement to qualify and show ID and verification of address at that time. After that, your member number/last name is all you need to check out tools. Please email librarian@greenlents.org with any questions. Creating and supporting opportunities to make our neighborhood a thriving and sustainable community.